Photo: Union House, ca. 1849, 207 West High Street, Orangeville, IL. Listed on the National Register of Historic Places in 2000. Photographed by User:IvoShandor (own work), 2007, [cc-by-3.0 (creativecommons.org/licenses/by/3.0)], via Wikimedia Commons, accessed July, 2015. 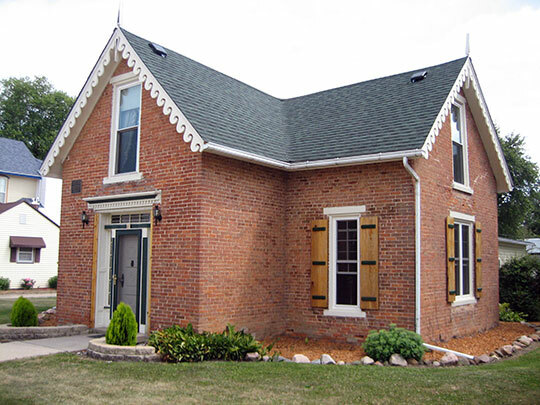 Stephenson County administrative offices are located at 50 West Douglas Street, Freeport, IL 61032; phone: 815-235-8277. The County was formed in 1837 from parts of Jo Daviess and Winnebago counties. It is named for Colonel Benjamin Stephenson, who commanded a regiment in the War of 1812. Stephenson served as a representative from the Illinois Territory to the U.S. Congress from 1814 to 1816.